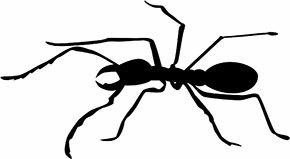 Ant clipart images and animations. 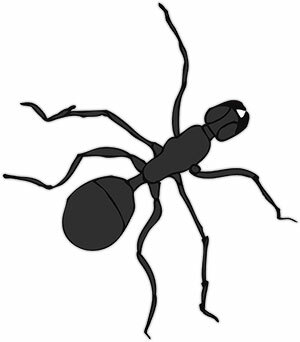 Section includes red, worker, funny, black, fire ants and an army of ants plus cartoons, animations and images. 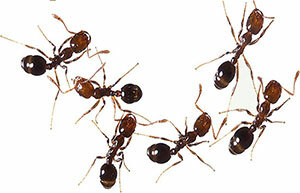 Ants are related to wasps and bees which begins to explain why it hurts so much when they sting. 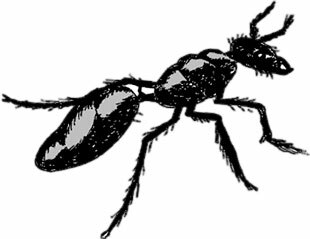 Also, ants can carry between 10 and 50 times their own body weight with their mandibles which explains why it hurts when they bite. An ant showing his strength by carrying a very heavy load. 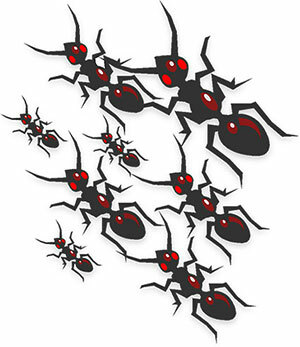 Army of ants on the move. Animated ants on the hunt. 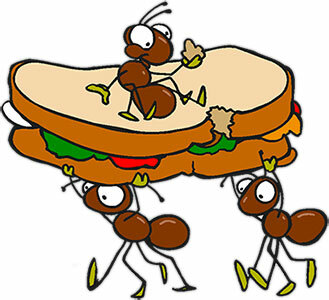 Ants enjoying a sandwich while on the go. An ant hard at work wearing his hard hat. 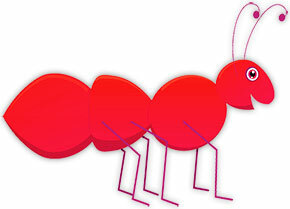 A fun cartoon red ant. Red ant standing tall and proud. Black ant looking for a way in. Funny ant on the move. Black ant with hairy legs. Old ant yelling, "get off my lawn". A colony of fire ants looking for food. A worker ant ready for a hard day of work. 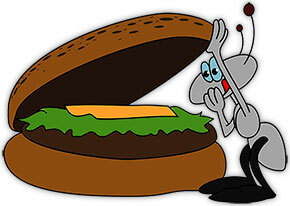 This hungry ant has an eye on your lunch. Ant searching with his ant antenna. A single ant top view.